My relationship with God started as a young boy of four or so, in the rural farm land of north-central Ohio. We had moved out from town at that time, and the area around us was farm land, even though my parents had only five acres. There was no young children around, and I had one older brother who is five years older than myself. He had several others his age within range of bicycles, but there was only me. I was a quiet one anyway, and enjoyed being alone. The land was wide open farm land, even though my dad had planted an acre of apple trees and some other fruit trees on our five acres. (He was following a book on how to live as an independent family on five acres, and he followed it carefully.) I would roam the fields and enjoy nature, usually maintaining a running commentary with my friend Jesus, who I remember picturing as a young boy my age. We would have great conversations. This feeling of a comfortable friend continued for many years. I recall being amazed after I started school, in a Roman Catholic school, that I did not see any other young person who expressed that ease of friendship with Jesus, who I equated with God, but on a person to person basis. I could talk with this young boy easily, and I would ask questions about life in general (from my age-related self) and would receive easily understood answers that kept me happy. At the same time I became fascinated by fossils, rocks, stars, northern lights, and other spectacular natural phenomena. I discussed this with Jesus, as I talked everything over with him, and was encouraged to seek further information. Thus began my fascination with science. This dual interest has continued all of my life. I loved the science courses throughout school, and equally loved further studies about God and the nature of God, and always read far more than required when we broached a new subject in either topic. I remember in my early to mid-teens, I was struggling with my understanding of God, or faith, as it was based on Catholic school-given very cut-and-dried answers and a long history of joyful and meaningful discussions with my imaginary friend, Jesus. My brother had returned from college at Easter, and announced that he wanted to enter the seminary and be a priest. Shortly after that, he had a spontaneous lung collapse that almost cost him his life. He returned home, and we had some deep conversations. He loaned me a copy of Thomas Merton’s “Seven Story Mountain”and I spent the summer reading that big book. (I wonder how many 14 year-old boys would spend the summer time reading a tome like that?) The book is the story of the path of Thomas Merton took finding the deep mystical connection to God through years of struggle and search, and it resonated with my feelings at the time. Wonderful read! I learned to follow and spend the time talking with my God in a new way, that my dawning maturity was awakening. When I went to college and beyond I was always given the opportunity to spend quiet time with my God, talking over with God the problems and situations I found myself. That time has served me well on my journey on the spiritual path. 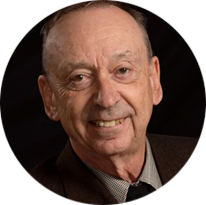 Somewhere in my early forties, as I pondered the various guises that represented God that I had perused over the years, I became fixated on that simple quotation from the first letter by John. That fascination led me to concentrate on the last discourse recorded of Jesus at the last supper in the Gospel of John (John 14) and that fascination has continued to this day. I strongly believe that the simple phrase “God is love” distills everything there is to say about God. Everything spirals about that phrase, and it contains in the only words that have the unexplainable word “Love”. That mystical word love cannot be explained further: one either understands what it contains or one does not. No words can explain it, for it is a deep connection with an overwhelming sense of wholeness, oneness, and completion. The gut-wrenching word “Love” cannot be explained, but hopefully we all have some level of understanding of the implications. Some do not, for some few have been denied the ability to love or have never experienced the joys of love, and some have never had the good fortune to have tasted love. I understood that good theological terms can never describe the depth of that word Love, but the meaning stems from experiencing Love and spending the time to dwell in that heady sensation over time. To have tasted the wonders of Love; to see it broadcast in the wonders of our universe, in the perfection of the universe, and in the perfection of those blinding moments in life when Love overwhelms all that we have; that is when we start to understand what it means when we say ‘God is Love”, and in the ordinary moments when love is all there is. My faith says that God is not a being somewhere who loves me; God isthe very field of Love, that creating force that is the All in All. I do believe in the Trinity, but I may express it slightly differently than many: God is the Mother/Father, that creating force that expresses Love through creation and the bountifulness of the All, always creating our universe and more. God is the Daughter/Son, that wonder that is the result of the Love of the Mother/Father, the Word (see the prolog of John’s Gospel) or the Christ that exists in the physical fields we call the universe, with Jesus as the most profound force on our small world; and the Spirit or Life, that animates and provides the living force of all that is, physically as well as beyond what our senses in any form can touch. As quantum physics loves to say, everything is an illusion of a momentary pulling together of the fields of everything to give us the sense of ‘now’, always and only ‘now’. All else is memory, an illusion. Richard Rohr, the prolific author, mystic, and Franciscan priest, has hinted at similar thoughts. His next book is being published next spring, entitled “The Cosmic Christ”, which sounds very much in a similar fashion. I am looking forward to that book by this wonderful mystic, and am looking forward to a time of growth as I ponder his words. Yes, I will continue to grow spiritually until I pass from this world. Even the process of passing will be a time of spiritual growth. That is the path of my spiritual life, the journey into the mystery of Love, which is the mystery of life itself. 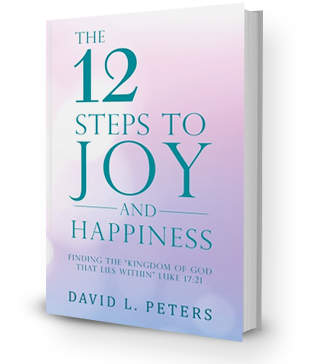 My book, The 12 Steps to Joy and Happiness”, fills in many the moments in my 80 years along this path. Oh my Lover, the Giver of Life, the One takes me into the bliss of joy, I place my being into Your care, for I know that You will lift me up, cradle my wounded being gently, and fill my very being with Joy and Happiness. This look at the blessings that have filled my life with Joy and Happiness brings me a sense of wonder at the opportunities given to me to find the wonders of life, even when my depression seemed to overwhelm me. I feel so blessed in life and am at peace with the statement that life is terminal, and my time is relatively short, as only joy and happiness await me in eternity where I can see clearly, where now I see but through a cloud of unknowing.